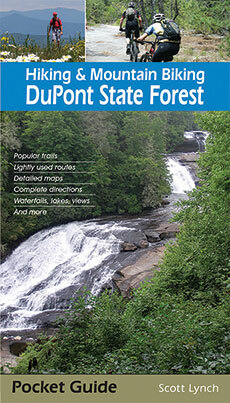 Whether you’re day hiking, mountain biking, swimming, trail running, or picnicking, this pocket guide gives you the details you need to experience the best of DuPont. 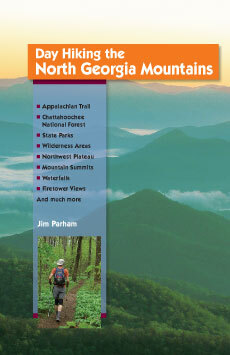 Clear and concise on-the-trail information for 27 routes includes distance, time commitment and difficulty rating plus driving directions to the trailhead and more, all in a slim, portable volume. Scott Lynch lives in the South Carolina Upstate where he was born and raised, and where he has been hiking the trails since 1989. 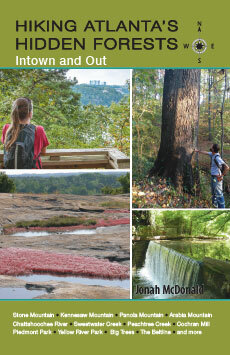 Once a professional hiking guide and outfitter, he now writes full time when he’s not out on the trail. 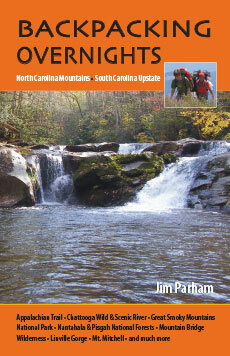 His guidebooks include Family Hikes in Upstate South Carolina. 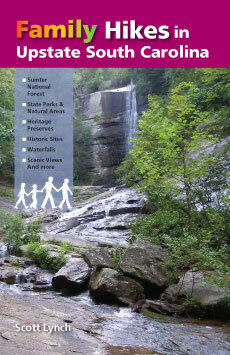 Hiking South Carolina’s Foothills Trail, and Hiking & Biking DuPont State Forest.